The World Police and Fire Games will give North Down an opportunity to showcase the best it has to offer. A number of events are set to take place across the Borough, including swimming events at the newly opened Bangor Aurora Aquatic Complex. 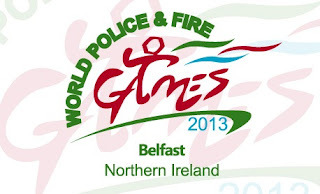 As Mayor of North Down I want to welcome all competitors to North Down and wish them every success in taking part in the World Police and Fire Games. Some great events have been organised locally providing fantastic opportunities for people across the borough to get involved in supporting the many different sports on offer. Many of the events are free and I would encourage people to come along and watch. The games will not only bring competitors into the area but many spectators are also expected to make the journey, giving North Down the chance to boost its tourism potential. I hope the games are a success across Northern Ireland and locally we do all that we can to ensure North Down is seen as a place to come back to.